A Hong Kong court has found nine leaders of 2014 pro-democracy demonstrations guilty on public nuisance and other charges. 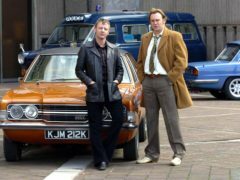 The BBC is seeking to “captivate Chinese audiences” with a Mandarin adaptation of hit series Life On Mars. A mini supermarket containing only packaging is going under the hammer.